Will You Let Amazon Into Your House? Amazon will be introducing the new smart door lock in November, which will be available exclusively for Prime members at $250. The company has built its entire platform on bringing items from a website and putting them right in from of a consumer’s eyes at their home or business. Now, that process will try to be even more streamlined as they put desired products right inside your door. So far, the video has over one million views, but has a much larger portion of “dislikes” compared to “likes” on the video. As seen in the video, it will be called Amazon Key and it only lets in people who are authorized. It will include an Amazon-built security camera known as “Cloud Cam,” which records all deliveries directly to your smartphone for additional security measures. Get your Amazon Packages Securelydelivered just inside your front door. 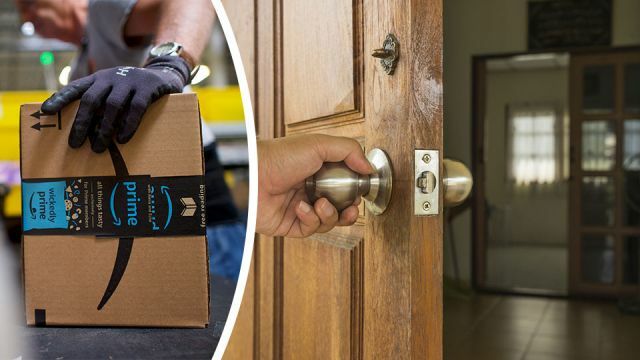 Some are claiming this new idea could create more trouble than the alternative of just leaving the package outside the door. For starters, it could create more opportunities for thieves to get into your home. On the other hand, it could be a liability for the couriers, as they might encounter attacking pets and other in-house dangers. Put another way, it seems as if the Amazon camera is the company’s best way to try and deflect any trust issues that the new program naturally brings. E-commerce companies like Amazon have tried to create new ways of making deliveries more secure for years. Historically, Amazon has tried other ideas, like putting self-service lockers near office buildings and near supermarkets, where customers can pick up their goods. This new feature will make sure the couriers knock first, and if you one answers, a message will be sent to the homeowner’s smartphone, which will give them permission to enter and place the package in the house. Kind of like the idea, but not sure if my dogs will. Common sense: Lock your door, you don’t want strangers to get into your home. Amazon Key: Use the internet to unlock your door so a stranger can put things in it. What do you think about this new feature? Is it an invasion of privacy or a smart new way to transform the e-commerce business? Let us know! Hey Buddy!, I found this information for you: "Will You Let Amazon Into Your House?". Here is the website link: https://www.thealternativedaily.com/will-let-amazon-house/. Thank you.